Flannel Foxes, Bison staples since spring of 2016, are joining us again and we couldn't be happier to climb into new adventuring gear! 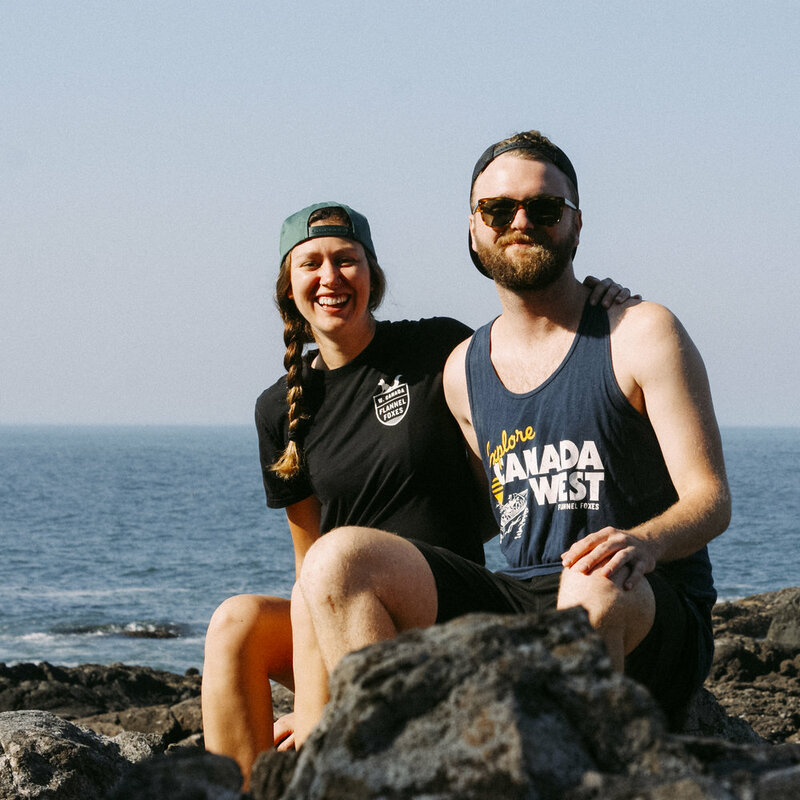 Brittni Goshulak & Mike Lundy, owners of Flannel Foxes, had this to say of their brand: "Flannel Foxes is a nostalgic brand that shares the best of Canada West. 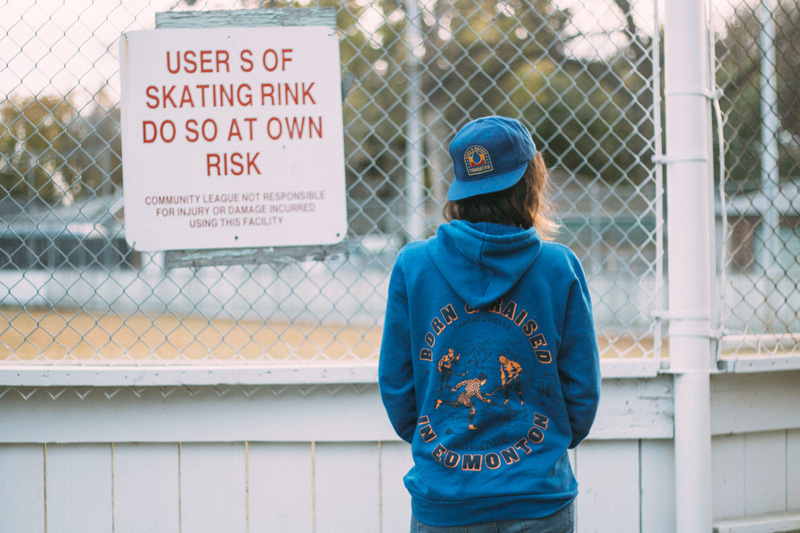 We’re committed to goods that are ethically made in Canada for tomboys and boys." Catch them at the Bison both weekends! You can keep up with the nostalgia train on Instagram (@flannelfoxes) or twitter (@flannelfoxes) and read on down below to see what's been inspiring the adventurers these days. 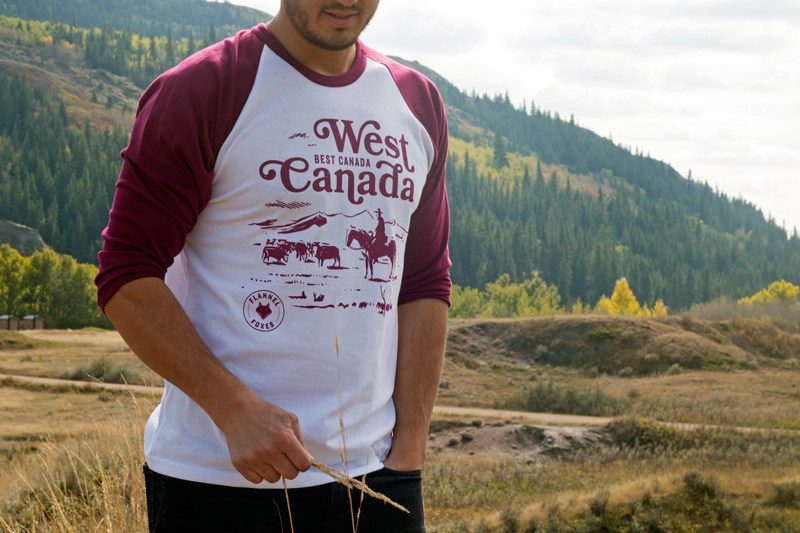 Flannel Foxes: Inspired by photos of our grandparents and warm memories of growing up exploring Alberta, Saskatchewan, and B.C., we’re a brand that strives to share the best of Canada West. 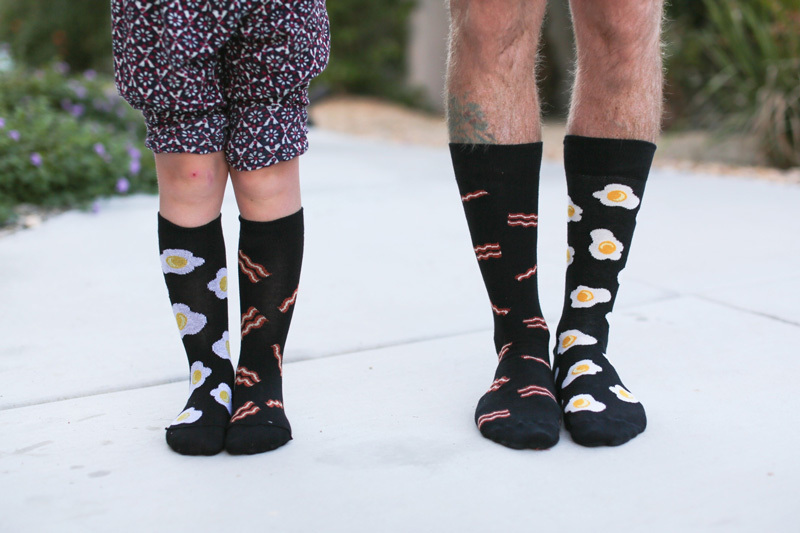 FF: We have four new toques, three new sweaters, a new tee, and new socks! 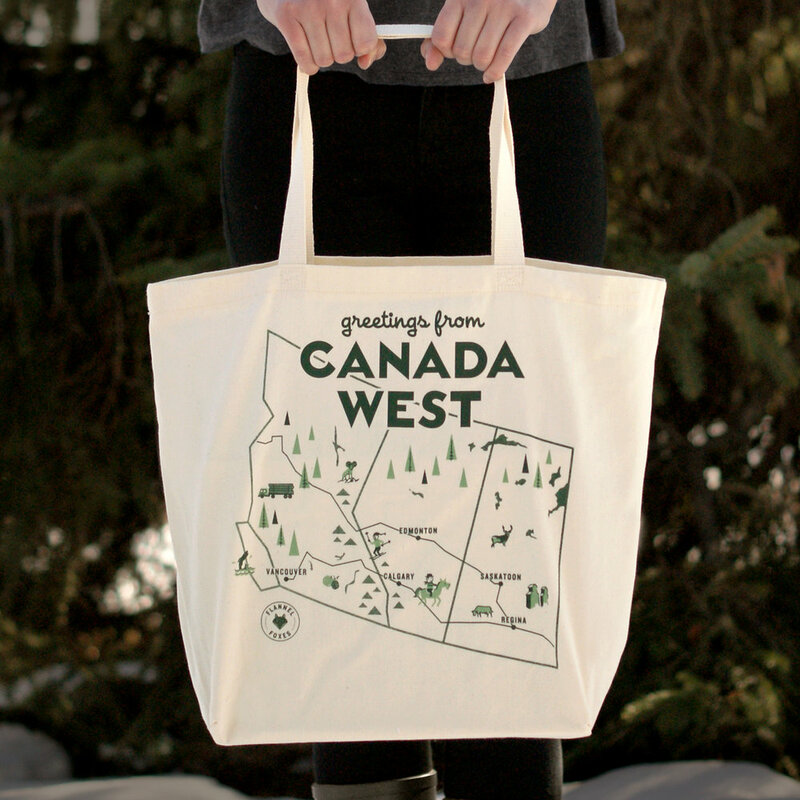 FF: Our products are, whenever possible, made in Canada. We work with people that treat their people right. We’ve found that people who treat their employees fairly make comfier clothes! 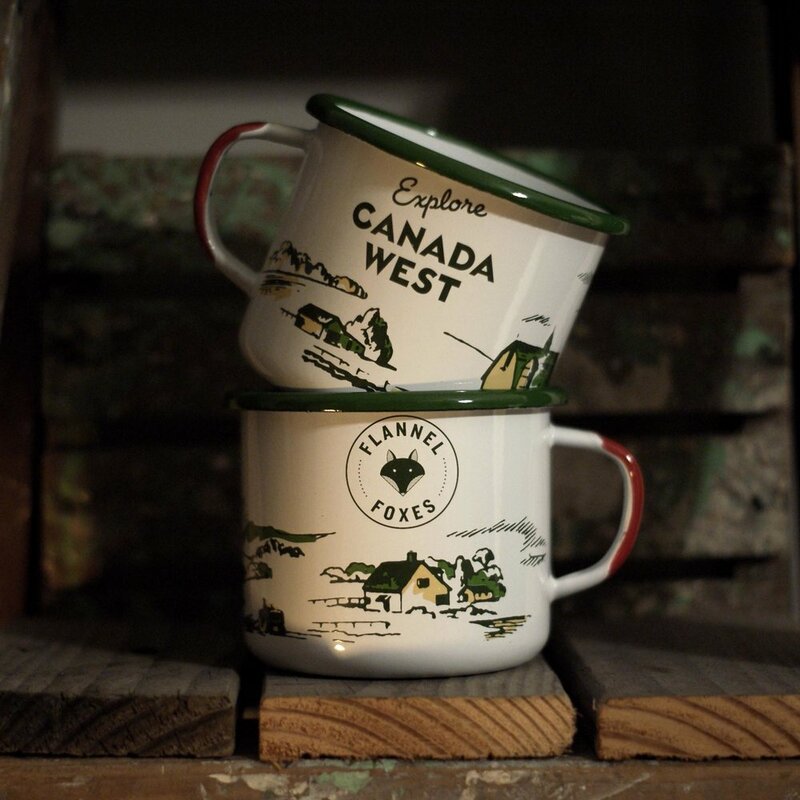 Our designs combine a sense of nostalgic Canadiana with a refined aesthetic. Mike’s background in branding gives our gear a consistent visual identity. FF: The people in Edmonton are so generous. The encouragement and support that we get from people visiting us at Royal Bison gets us excited, and makes us believe that Flannel Foxes is something that can bring pride to Edmonton. The people behind local businesses have collaborated with us, helping us grow and extending their friendship. The creative community in Edmonton elevates others, setting an example of humility and inclusiveness. FF: As a graphic designer Mike is inspired by designers like Helms Workshop, Alana Louise, and Hulse & Durrell. A lot of our inspiration comes from designers whose names we don’t know, as we flip through old brochures and magazines at the antique mall. We’re inspired by Royal Bison staples like: Adrian Martinus (his woodworking blows my mind! ), Strathcona Spirits (it’s so cool that they’re distilling great spirits right off Whyte! ), and The Exit Workshop (cozy, made-in-Canada, Gina’s gear is right up our alley!). FF: Lately we’ve been going somewhere hot for a few days around Christmas time. It’s nice to get a break from the winter now and then!